Hey friends!!! It's been a few days. Hope everyone had a FABULOUS & HEALTHY Memorial Day Weekend! I sure did! I had a little slip up on Saturday but was right back on track Sunday and Monday with days FULL of exercise! 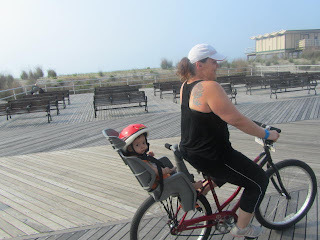 I posted the other day about our 7 mile walk on Sunday..then on Monday we rented bikes and went for a 6 mile bike ride on the boardwalk and went and got breakfast. My family..of course we had to stop and pose! I think bike riding is gonna have to be a regular weekend thing this summer! We all enjoyed it. My daughter even fell asleep in that chair on the way home. In other news.. as I have mentioned before, I do a lot of weight loss challenges through Nicole's Weight Loss Challenges!!! on Facebook. This past challenge was a month long challenge consisting of cardio and toning and tracking how many ounces of water we drink as well as some mini challenges that she throws in along the way. My original plan was to lose 50lbs by the time my baby turned one but since I still have 3 weeks and have lost 56lbs.. my new goal is to lose 60lbs by the time she turns 1. I think I can handle that! It's so crazy that my mindset used to be "I still have SO much to lose to get to goal!!" .. and now with a few short-term goals left before my ultimate goal, it seems so close!! Short-term goal #1: I have to lose 4.4lbs to get to 60lbs..maybe I'll buy myself a size 12 then! Short-term goal #2: Reach the 75lb mark..(which in the grand scheme of things, is really not ALL THAT MUCH!) 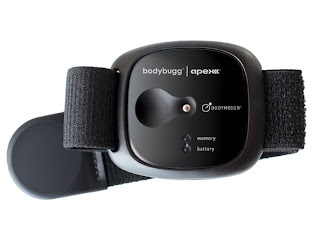 ---> I think my reward to myself for my 75lb star is gonna be a bodybugg! As you can see, my rewards are tentative because I never know how money will be at that point! I am throwing a pretty big party for my princess! Although I hope that this new endeavor I am beginning this month will pay off so I should be a-okay to buy myself a bugg! Then before I know it.. 80lbs..85lbs..95lbs..100lbs!!! Man I am so excited!!! I'm throwing a party for myself when I reach goal!! My personal, non weight loss goal for this summer is to organize my life!! SO I started Chalene Johnson's 30 Day Challenge to Master Organization and Achieve Your Goals. I'm looking forward to making some changes for the better!! You can never be too awesome.. there is always more awesomeness out there to achieve! Speaking of Chalene.. I have been doing Turbo Fire for a little over a month now and I have to say, my burpee squats, tuck jumps, and air jacks - all of which I could barely do in the beginning - are becoming darn GOOD! I noticed how much my burpee squat has improved the other day and I felt like doing cartwheels! Keep up the great work weight loss champions!! We got this!!!!!!! Sounds like a fabulous month of May ! I am also doing those dang burpees ! I really hate them but they work ! 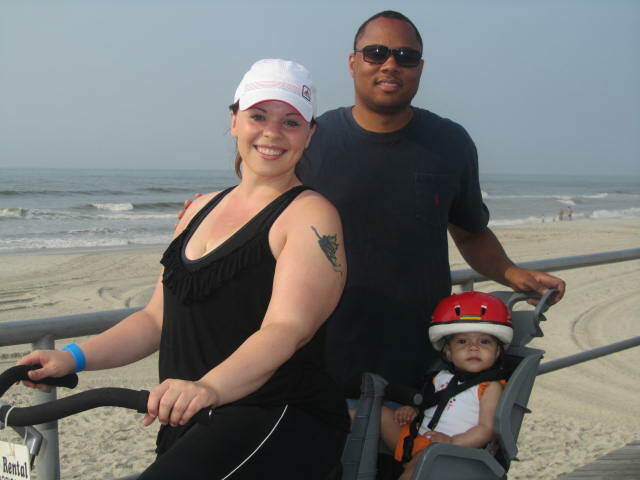 I love the pics of you and your family being active together ! It's June ! Can't wait to see what you accomplish this month! Bring it girl !! WHOOP !